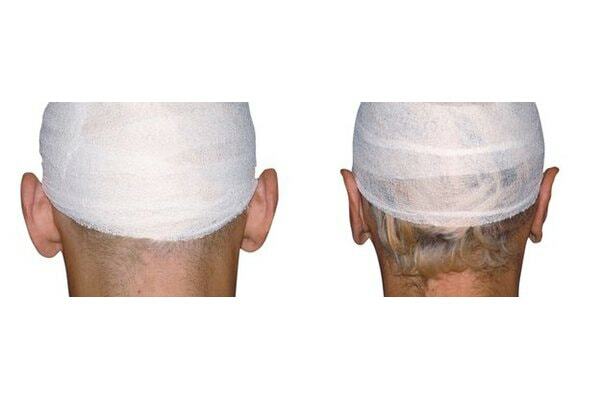 The correction of prominent ears is a demanding procedure that is often underestimated. 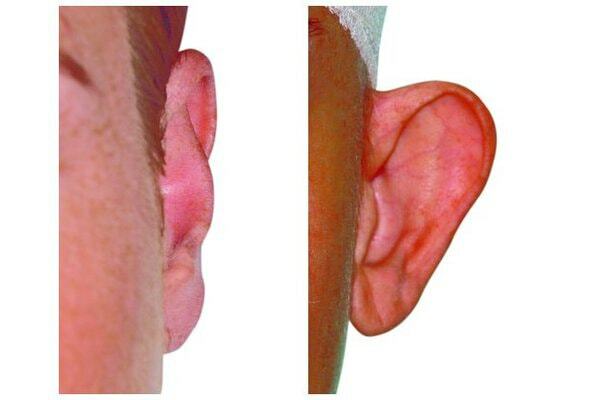 There are several reasons why ears are sticking out and for a satisfactory correction, a number of other details on the surgical concept have to be included. The most common form is the combination, that is too broad conchal bowl with blunt antihelix-angle. If also the earlobes stick out, they must separately corrected with an additional intervention. 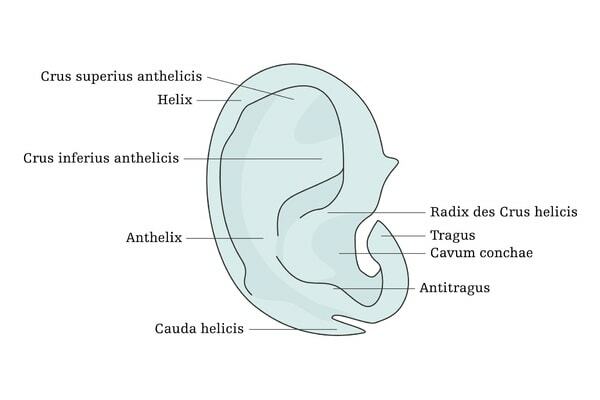 If parts of the ear cartilage stick out along the antihelix line, they should also be corrected. Either the ear cartilage is bent into the desired position with forming sutures (ear stitch method) or sculpted with a scalpel. 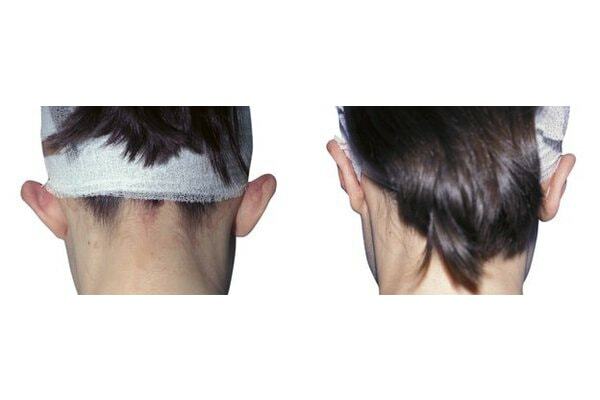 The stitch method is not generally a good method, because the cartilage is only “deformed” and not shaped. In addition, the cartilage remains almost always under tension, so it often returns to its original position and the ear sticks out again. The scalpel method, in contrast, can produce any desired shape and the operation result is permanent. An accurate analysis and precise planning of surgery are essential to the success of the operation. I am looking forward to your visit! 1. Is the correction of protruding ears technically difficult? This operation is definitely a demanding procedure, which should not be underestimated. 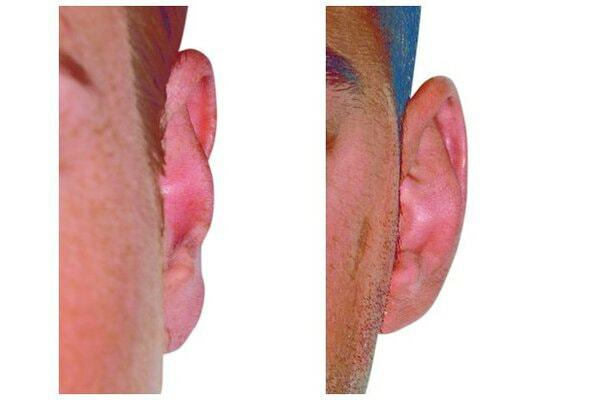 It is important that you do not follow a uniform format, but include often unnoticed but relevant details such as protruding earlobes or a too prominent antitragus in the surgical concept. 2. What surgical methods are there? 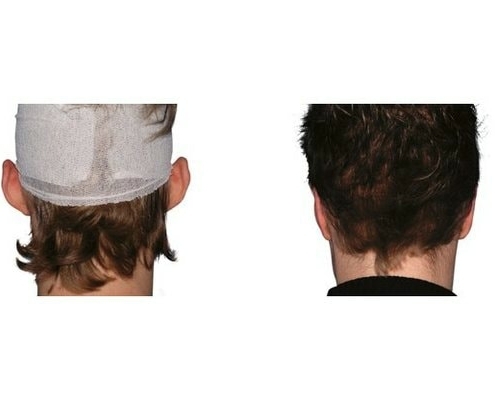 There are two operating principles: either the ear cartilage is bent into the desired position with sutures (ear stitch method) or sculpted with a scalpel. 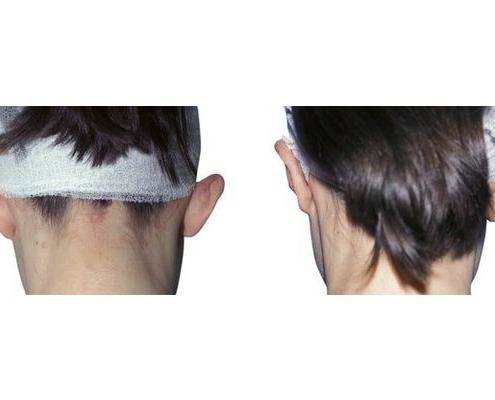 The stitch method is not a good method, because the cartilage is only “deformed” and not shaped. In addition, the cartilage remains almost always under tension, so it often returns to its original position and the ear sticks out again. The scalpel method, in contrast, can produce any desired shape and the operation result is permanent. 3. What do you think of the ear stitch method? The ear stitch method is neither modern nor effective and is not recommended. 4. Where do the scars form in an ear correction? 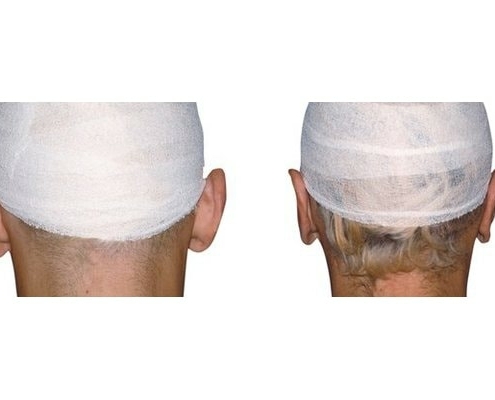 The incision is on the back of the ear, therefore the scars are not visible. 5. 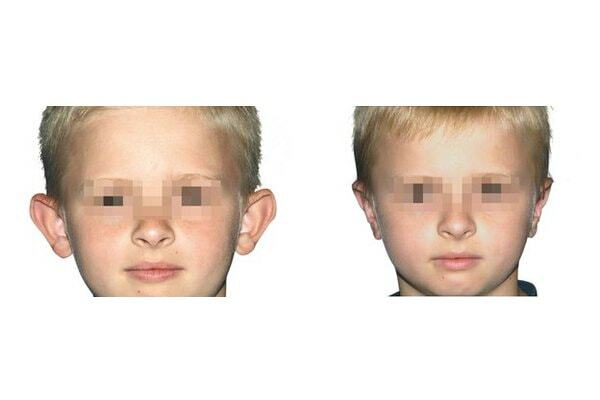 At what age can children be operated on? 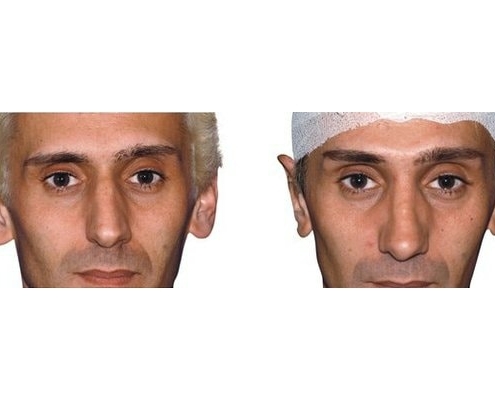 The surgery should be performed under local anesthesia, this is usually possible as of 8 years old. If there is a desire for a correction earlier, general anesthesia must be used. 6. 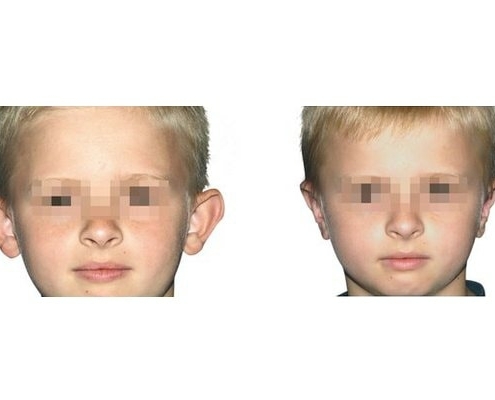 Does ear surgery hinder the growth of the ears? Ears have reached 85% of its length and 95% of its width by the age of six. In addition, operated ears continue to grow normally, so children can also be operated on safely. 7. 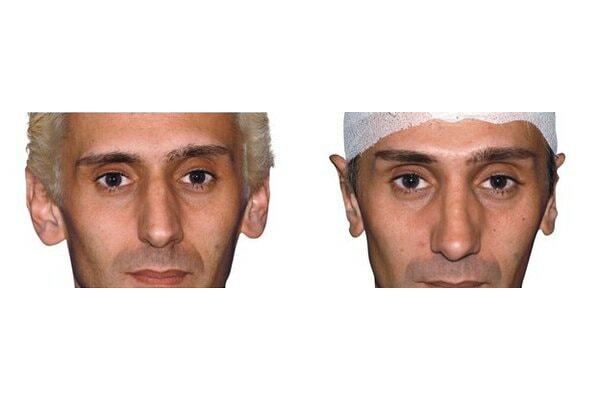 Can the surgery be performed on an out-patient basis? If the procedure is performed under local anesthesia, the patient can always leave the hospital after the operation. In most cases this is possible even with an operation under general anesthesia when the surgery is performed in the morning. 8. Does the health insurance cover the costs for the surgery? In Austria health insurance covers the costs for an ear correction up to the age of 16. 9. What complications can occur? Medical complications such as bleeding, infections or skin necrosis are extremely rare. 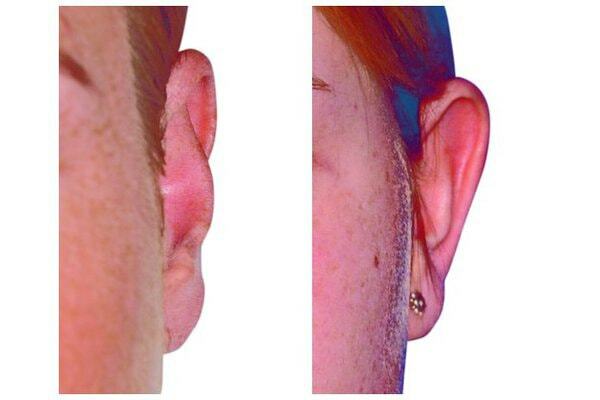 The most common complications are aesthetical: the ears protrude again after some time, the ears are not symmetrical, the earlobes were not corrected. However, aesthetically unsatisfactory results can almost always be corrected. 10. 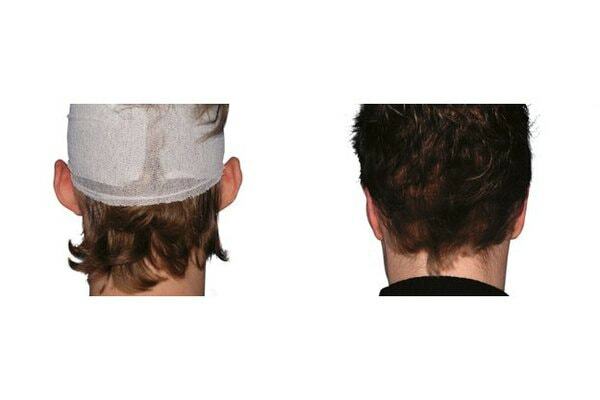 What are the long-term results after ear correction? With proper implementation and successful operation, the long-term results are excellent. If the ear stitch method is used, the probability is relatively high that the operated ears will stick out again after some time. The first consultation takes up to 30 minutes and costs EUR 180. For consultations lasting longer than 30 minutes EUR 250 will be charged. All other consultations are free of charge. If you purchase the Enzyklopaedia Aesthetica book “Ohrenkorrektur” (Ear Surgery) ( EUR 29.90 ) the first consultation is free of charge! You can purchase the book during your first visit in the ordination or order it online. For public health reasons, a blood test (so-called “small laboratory blood”) is necessary, including HIV and hepatitis A, B, C. If you are insured in Austria and the procedure is medically indicated, there are no additional costs. The surgical preparation includes a blood test (so-called ” complete blood count “), a chest X-ray, and a surgical release by a general practitioner or internist. If you are insured in Austria and the procedure is medically indicated, there are no additional costs. The same applies to the OP-release by an internist or general practitioner, who is contracted with the usual social security institutions in Austria. In our medical center, there is an internist that the insurance considers a physician of choice. In this case, the insurance will cover about 50% of the cost. EUR 450 – 1.200, – depending on duration of operation and hospital. In general, the procedure is performed under local anesthesia therefore no anesthesiologist is necessary. If the procedure is performed under general anesthesia, an anesthesiologist is needed for surgery. The cost of the anesthesiologist varies depending on the duration of the operation and is between EUR 300 – 700. An average cost of EUR 400-500 is to be expected. 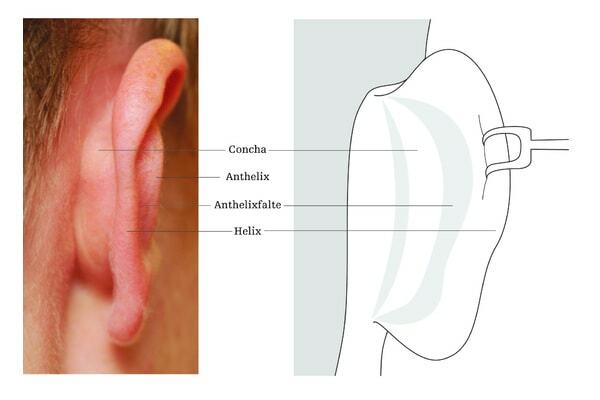 Depending on what else needs to be taken care of in addition to protruding ears (prtruding earlobes or parts of ear cartilage, etc) there is a surgical fee of between EUR 1.800-3.000. Visits are included in the surgical fee. Check-ups are included in the surgical fee. Preoperative complete blood count including blood type, HIV and hepatitis A, B, C.
Please note that the results may not be over 10 days old at the time of surgery. Please bring the X-ray and all the findings for surgery. Aspirin, Thromboass and similar anticoagulants should not be taken 14 days before the procedure. If necessary, a conversion to Heparin can take place. Please come 2.5 hours before the procedure to the hospital on the day of the surgery and sign in with the porter. After completing the admission formalities you will be placed in your room. On request, you will receive an infusion, which reduces your thirst. Two weeks before the surgery, complete the necessary preoperative exams (blood lab, X-ray, ECG, surgical release). A preoperative interview will take place the day before the surgery. It will assess the findings, discuss final details and sign the consent form. An instruction sheet will be given to you by the assistant to complete and bring to the hospital. Arrive at the hospital 2.5 hours before surgery to complete admission formalities. If requested, an assistant can accompany you to help shorten the time before the surgery. Discharge from the hospital usually happens on the day of the surgery. Please do not drive yourself. Take a taxi or let yourself be picked up. At home, relaxation and recovery should be in order. Avoid strenuous activities. 2nd Follow-up Visit (approximately 10 days after surgery): Removing the stitches. Further follow-up visits will take place after two and six months. Everything worth knowing about "Breast Augmentation".